Streaming media application Plex today announced its acquisition of Watchup, a free app that offers viewers a collection of local, national, and world news videos from 160 trusted news sources that they can further personalize by liking and disliking each news story (via TechCrunch). Watchup originally began as an iPad app back in 2012, and since launched apps on iOS, Apple Watch, Apple TV, Android, and Wii U. Similar to Apple News but with a focus on video, users can pick which category of news they're most interested in, as well as specify the organizations they want to see news from, and the app presents a curated list after the settings are specified. Specific terms of the deal were not disclosed, but Plex said that the Watchup news feature will be added into the Plex app as its own section sometime in the second quarter of 2017. Investors in Watchup include news veterans and former executives of The Wall Street Journal, and all are now strategic investors in Plex. According to Plex CEO Keith Valory, the personalization features of Watchup will be integrated into a variety of content categories within Plex moving forward, with the plan to focus on the kind of curated content the company believes that cord cutters need. “It could be things like kids’ content, documentaries and podcasts – those are the things that haven’t been done well in the top 15 apps, and we think there’s an opportunity where we can solve that,” said Valory. Plex began as a media server and personal library for content like TV shows, movies, and music, but recently began expanding into areas that focused on supporting users who lack traditional cable subscription packages. Last year, for example, the company launched a DVR feature that can record shows on free digital broadcast channels for those subscribed to Plex Pass. 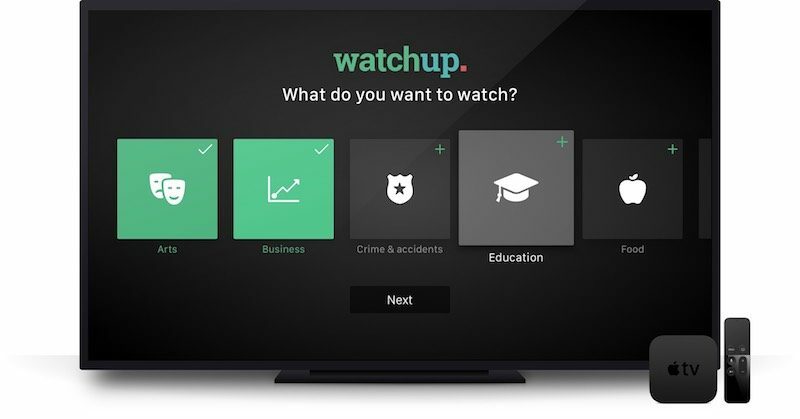 The acquisition of Watchup is another step towards becoming a true cord-cutting companion, according to Valory, who also said more acquisitions and partnerships could be coming down the line. Plex Pass can be subscribed to for $4.99 per month, $39.99 per year, or $119.99 (currently a limited time offer) for a lifetime subscription. Users can download Plex on the iOS App Store for free [Direct Link]. I love Plex. It's the sole reason I bought 3 AppleTVs (4th gen). Agreed. The new Apple TV would be almost worthless to me without Plex. I refuse to purchase DRM-encumbered movies, and Apple's "Home Sharing" features are infuriatingly bad. if not for Plex, I would have immediately returned my ATV4. This is exciting. Plex is bloddy awesome as it is. My lifetime membership to Plex is like a constant Christmas gift to myself. It just keeps getting better.